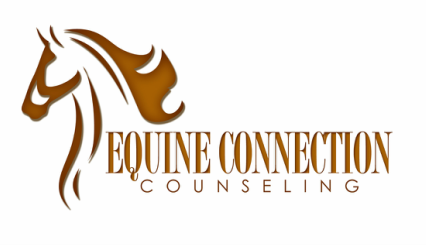 The field of equine assisted counseling is still growing with more and more people wanting to practice equine assisted counseling! We constantly receive inquiries for advice on how to start programs, which models are most effective, current research, and clinical consultation. Our President, Hallie Sheade, has expertise both as a counselor and as an equine specialist. Dr. Sheade is a Licensed Professional Counselor (LPC), Registered Play Therapist (RPT), and Equine Specialist in Mental Health and Learning (ESMHL). Dr. Sheade has written several manuscripts and presented on topics related to both animal assisted therapy and equine assisted counseling. From her experience, Dr. Sheade has developed two innovative models for practice, Relational Equine-Partnered Counseling and Equine-Partnered Play Therapy. Please don't hesitate to call us at (682) 334-3784 or use the contact form below to learn more about how we can help you and your clients. In addition to general consultation, we also offer specific training on our evidence-informed models: Relational Equine-Partnered Counseling (REPC) and Equine-Partnered Play Therapy (EPPT). We can provide training for both mental health professionals and equine specialists. We are proud to have had both of our models featured in internationally-renowned expert in animal assisted therapy, Dr. Cynthia Chandler's, textbook, Animal Assisted Therapy in Counseling. The EPPT model will also be featured in Dr. Kay Trotter's newest edition of Harnessing the Power of Equine Assisted Counseling due to be out in 2018. Finally, both models will be featured heavily in Dr. Sheade's upcoming equine assisted counseling textbook to be published by Routledge. ​Learn more about our models here!